WP Integration - RealTimeDesigner - The fully customizable online design interface. WordPress is very good as it allows you to easily create SEO friendly pages. WooCommerce, a plugin for Worpdress, gives you full E-Commerce capabilities within your WordPress site. The RTD plugin will allow you to integrate WooCommerce with the RealTimeDesigner. 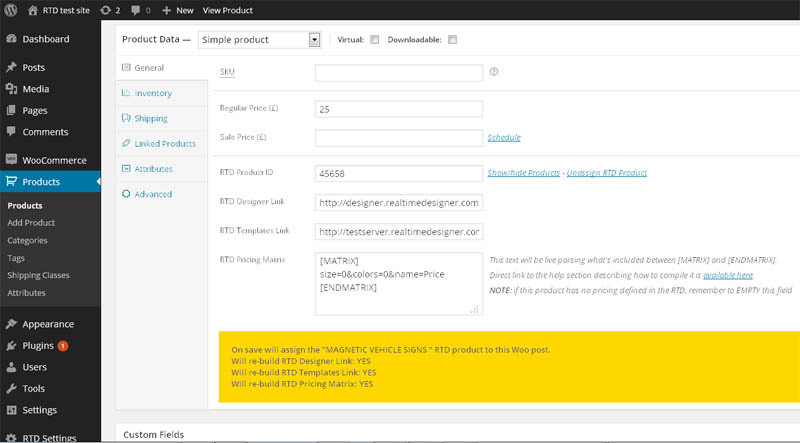 In basic terms, your customers will design in the RealTimeDesigner and checkout via WooCommerce. Together, WordPress, WooCommerce and RTD create a powerful solution! If you are interested in obtaining the RTD plugin, please click the payment button below. You will be making the payment directly to the developer, alex@ombra.net. Once sent, Alex will get in touch with you as soon as possible. If you need extra help to install/modify it, please contact the developer for a quote. What you will get are the plugins files, but no support. It is recommended you have a minumum of experience with web programming if you want to get a copy. If you don't, getting first in touch with us to discuss your needs might be a better idea. With this plugin it is important to understand no pages will be created. To help understanding how it works, this is a step-by-step presentation with images, so you will exactly see wht you can expect. Please note that all screenshots here had been taken from a newly installed Wordpress+Wocommerce installation. So, no tweaks had been done. 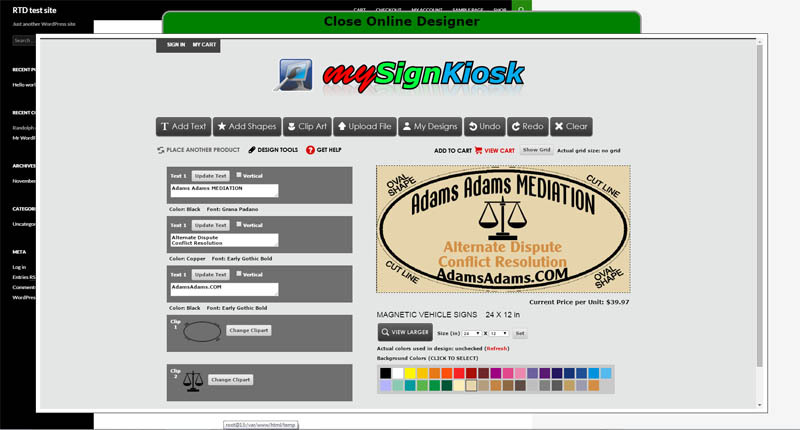 As you can imagine, those buttons will allow to quickly see a bigger version of the thumbnail as well as a direct link to open the specific design's order page in the RTD for hi-res creation and extra order details. 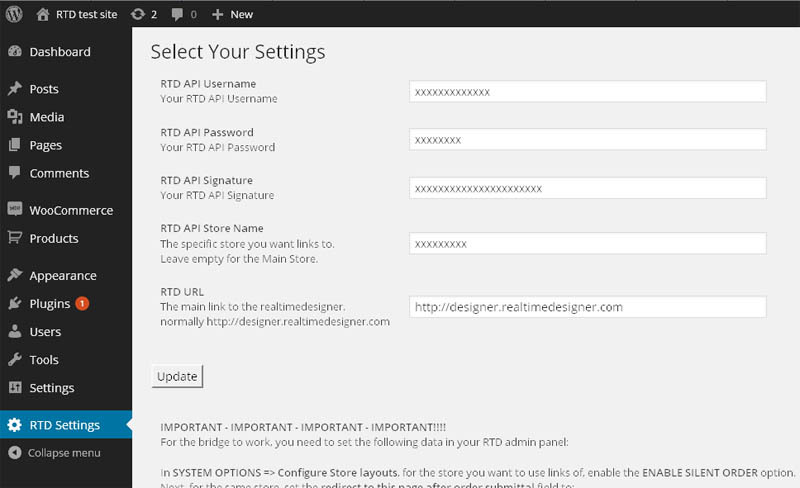 So, no need to jump between admin panels: RTD will be there for you right away! This is basically it about this version. It covers basic functionalities so, in general, it is meant to be used as both reference, inspiration or base to be tweaked for your own needs.